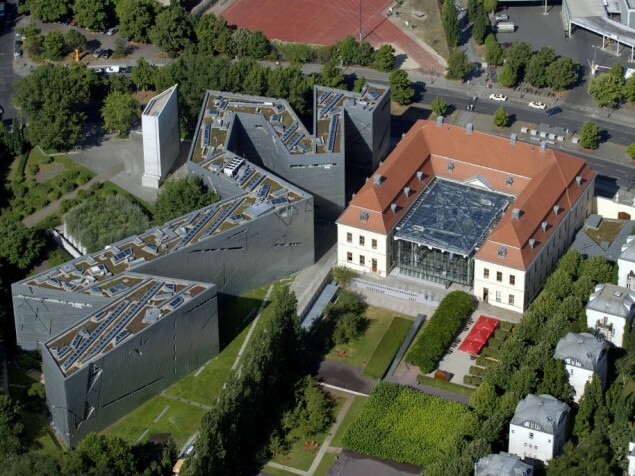 Daniel Liebskind’s design for the new wing of the Jewish Museum Berlin is a bold, immensely symbolic architectural statement, in strong contrast to its Baroque neighbor. 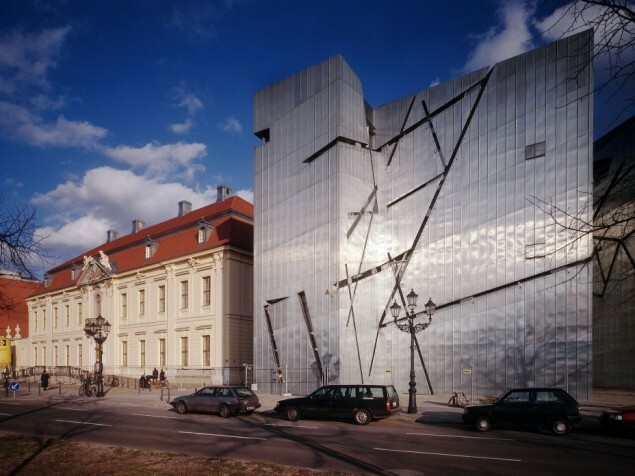 Since its completion in 2001, the “New Building” at The Jewish Museum Berlin has attracted much attention. It continues to attract visitors from around the world, each with their own interpretation of this dramatic and indelible architectural statement. The architect is Daniel Libeskind, whose work on civic, public and commercial projects spans the globe. 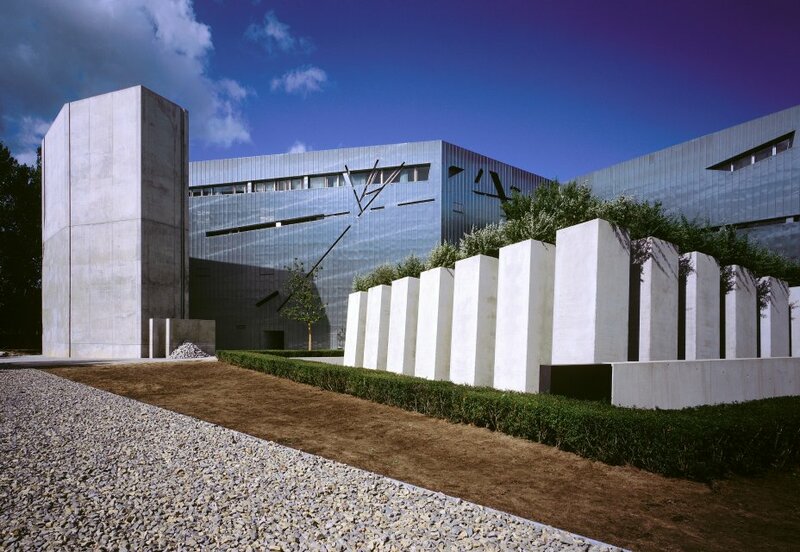 There are multiple symbols contained “Between the Lines,” as Libeskind says in the “Libeskind Building”. 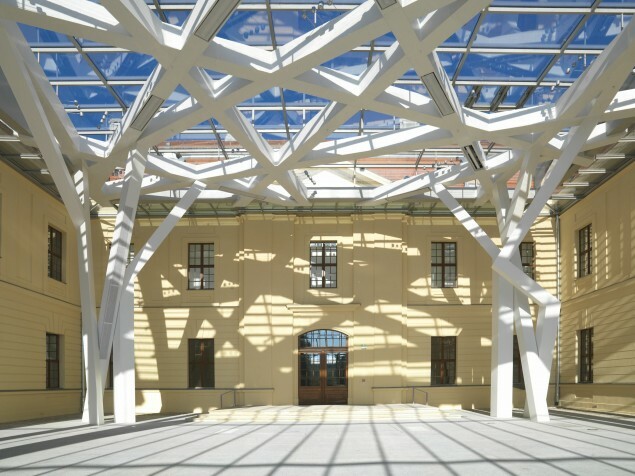 The design concept for the architectural framework was intended to invoke a very individual experience for each visitor. The building exterior is comprised of zinc-coated metal walls with fragmented linear recesses. 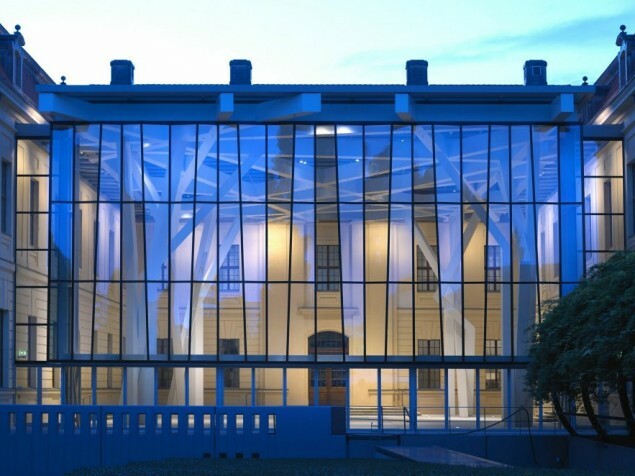 The locations of windows and floors are visually obscured, and the museum entrance is from a tunnel connecting to the original Baroque building. Inside the museum there are three horizontal “axes” (walkways) symbolizing realities in German Jewish history, and a series of “voids” that are concrete cavities that run vertically through the building. The museum is exited from these axes, through the “Garden of Exile”. The garden is defined by a permanent display of olive trees planted atop white concrete, squared pillars. The olive plants symbolize hope. The new building sits boldly adjacent to the older original museum building. 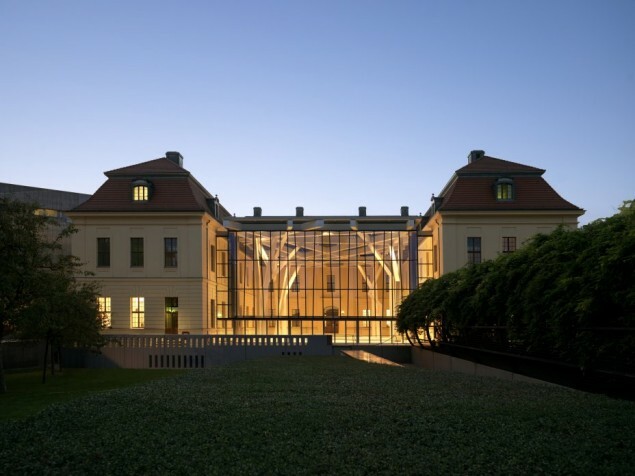 It is a beautiful Baroque civic building designed by Philip Gerlach, dating to 1735. The “Old Building” serves as the main entrance and the only access point to the New Building. It also contains supplemental exhibits, a restaurant and museum offices. 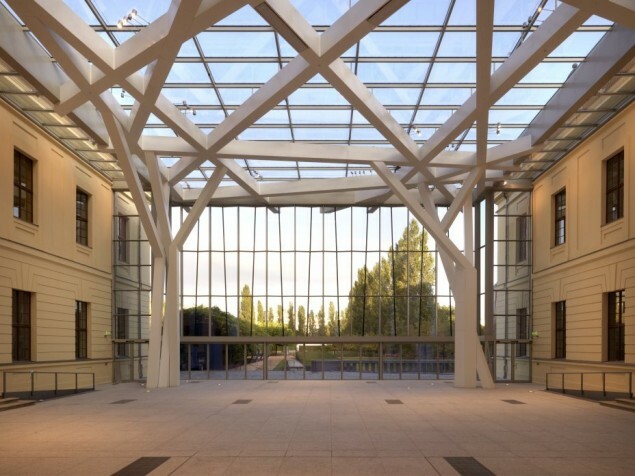 In 2007 Liebskind added a glass enclosed courtyard (the “Glass Courtyard”) to the Old Building. The concept of this space was to symbolize a place of gathering and for meals. The irregularly placed steel beams suggest the wooden branches of a “sukkot,” a temporary structure erected for a Jewish festival holiday. The Glass Courtyard can be rented for meetings and corporate receptions as well for social events. The Libeskind Building will remain a strong architectural statement in Berlin for generations to come and is certain to be a memorable experience. The Glass Courtyard, appropriately separate from the New Building, is a special place for meeting, dining and celebration. It is a dramatic space by day or night for any event purpose.